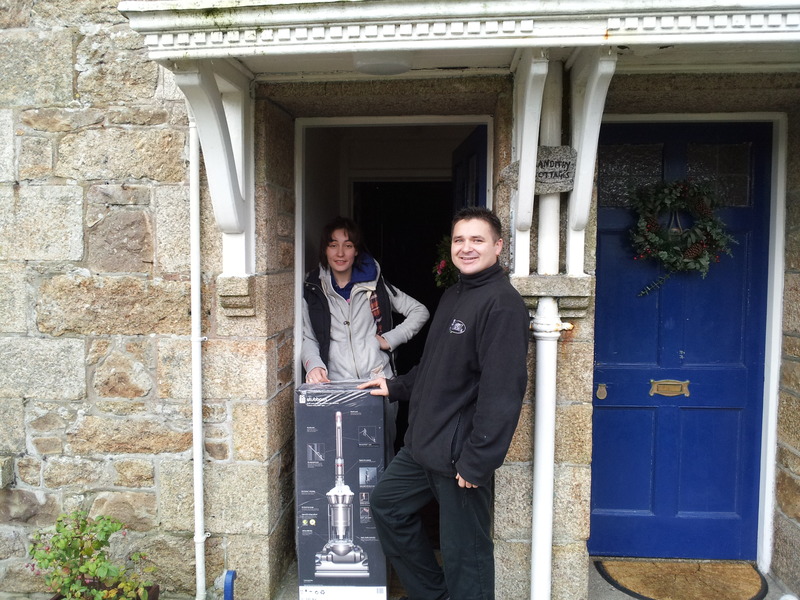 Goron presenting the winner with her Dyson DC33 Stubborn just in time for Christmas 2011. We are giving one lucky person a £25 voucher to be used in Mannings Bar and Restaurant. Like our page and status on Facebook at https://www.facebook.com/cornwallcarpetcleaners to be in with a chance. 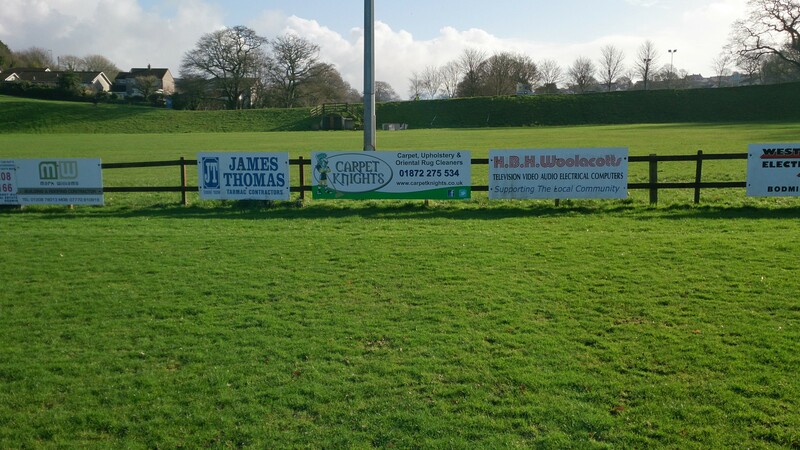 Our new advertising hoarding on the half way line at Bodmin Town FC. 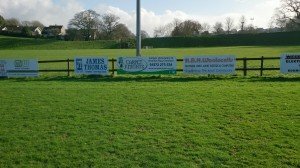 to see the work we did in their club house.